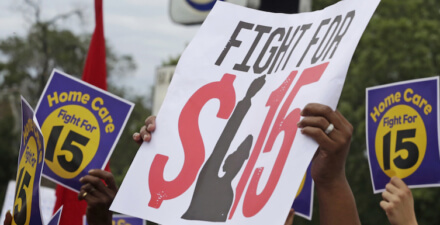 Will McGrew in his latest blog post sends us to a new study, “The New Wave of Local Minimum Wage Policies: Evidence from Six Studies,” by Sylvia Allegretto, Anna Godoy, Carl Nadler, and Michael Reich, which takes a narrow look at food services and drinking places and the minimum wage. Back when David Card and Alan Krueger wrote their “Myth and Measurement” study about how the costs of rising minimum wages had been vastly overstated, many—I might even say most—U.S. economists believed that their claim that the evidence showed that recent minimum wage increases had raised rather than lowered business demand for employees was overstated. Now I believe that is no longer the case: The majority view is that employers have market power, so a minimum wage is much more like good rate regulation of a monopoly utility rather than an anti-competitive “interference” in a well-working competitive market.